Victory Venkatesh’s new film Savitri was launched recently at Ramanaidu Studios in Vizag. The regular shooting of the film will commence from 12th March. Trisha has been roped in as the leading lady in the film. 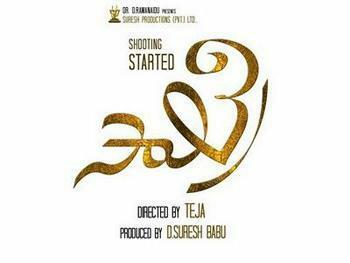 Teja, director of Savitri informs that the film is heroine oriented subject. Suresh Babu is producing the film under the banner Suresh Productions. There is also a strong buzz making in Tollywood circles that Savitri is being made with an approximate budget of 40 Crores which is highest in Venky’s career till date. Well, the news can be clarified only by Savitri makers. Tags and Links :Film News:Victory Venkatesh’s new film Savitri was launched recently at Ramanaidu Studios in Vizag. The regular shooting of the film will commence from 12th March.